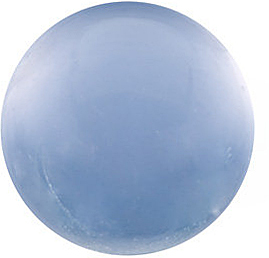 Description This Blue Chalcedony Gemstone Displays a Beautiful Opaque Medium Blue Color With No Blemishes and is Completely Natural and Has Not Been Subjected to Any Treatments. It Has Been Crafted with a High Degree of Skill and is Perfectly Proportional with the Proper Height to Width Ratios. NOTE: Be sure to select the RIGHT gemstone/diamond by millimeter size only. Selecting your gemstone/diamond by carat weight is NOT ACCURATE. The best way to select the right size gemstone/diamond is to use our size chart image or consult with a local jeweler to measure your setting or gemstone. AAA, Blue Chalcedony round, Cabochon calibrated diamonds listed here are only approximate weights.